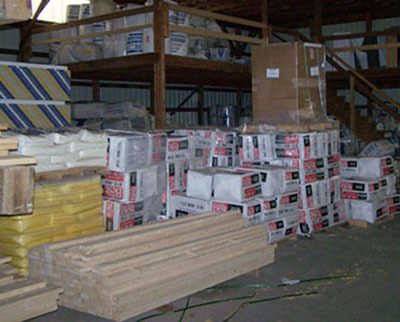 For your insulation needs, Burke's carries Johns Mansville Fiberglass rolls, loose fill insulation, faced and unfaced batts, foam board, GreenFiber blown in celluose insulation, and Green Guard wrap. 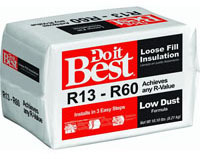 There is no better investment than adding insulation to save on your energy bills. Insulation assists greatly in keeping heat within a building in winter and slowing the flow of heat into the building in summer. An insulated building will therefore be warmer in winter and cooler in summer, creating a more comfortable environment all year round. 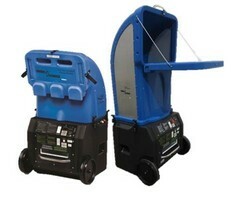 We stock several styles in all 'R' factors and can provide an unlimited quantity for any requirement. 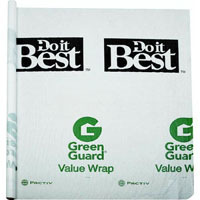 Another insulating product we carry is called Green Guard by Pactiv. Pactiv Building Products is committed to providing you with durable, reliable building products that help achieve moisture management and energy efficiency. 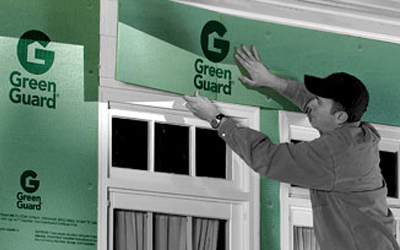 Our comprehensive system of GreenGuard® products is designed to provide you with all the components to meet exterior protection requirements. 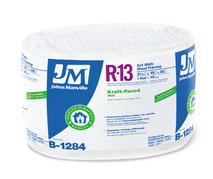 Another popular foam board we carry is manufactured by Johns Manville. 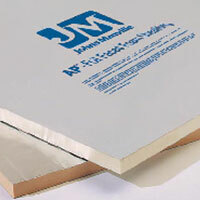 Johns Manville AP Foil-Faced foam sheathing board is composed of a uniform closed-cell polyisocyanurate foam core bonded on each side to a foil facer. One side has a printed foil reflective facer and the other side has a printed non-reflective foil facer to suit your building needs. Insulating can cut the cost of heating and cooling by over 40%. Insulating the ceiling of a house has the potential to save 20-30% on heating and cooling bills. Heating and air conditioning units don’t have to run as hard or as long to achieve the desired temperature in the building.